We experience the world of the internet pretty much exclusively through websites. A lot of effort is put into making websites look good, but the field of website development has changed so much in such a short period of time that it is actually surprisingly easy to see the trajectory that this field has followed over the short period that it has existed so far. It was not that long ago that pretty much all websites looked quite ugly. The fonts were bad, colors clashed, the websites that were created were often glitchy. The history of website development is intrinsically connected to the history of the internet, again because this is pretty much exclusively how we have experienced the internet in general. From the development of HTML a full decade before the turn of the century to the way that web development has become infinitely more accessible and attractive thanks to modern day web builders, the history of web design is very intriguing to look at. The earliest websites were pretty much only text based with very little interactive and multimedia content that could provide genuine visual stimulation. Over the years websites started to become more and more visually appealing, to the point where we have legitimate artistic movements being associated with the humble field of web development. Web design now requires artistic flair, it is no longer a nerdy field for people that are good with computers. 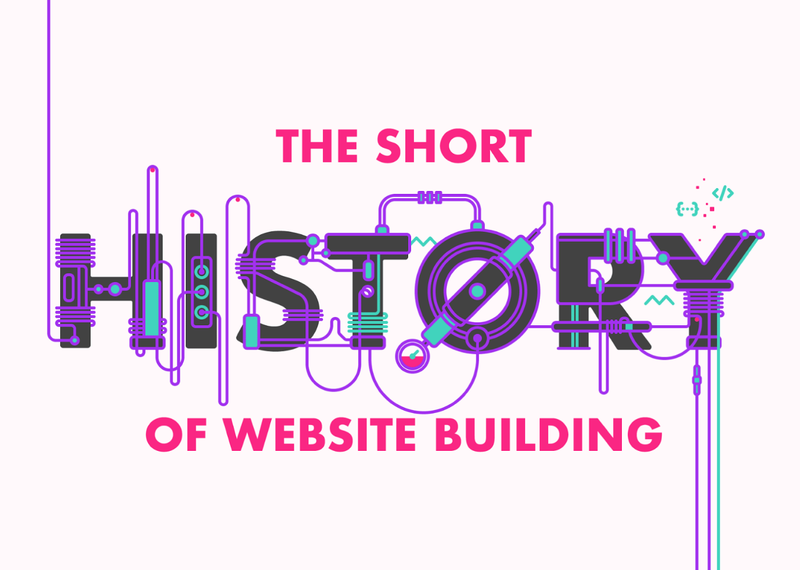 Learning about the history of web development can show you how far we have come in such a short period of time. The infographic below will make it a lot easier for you to learn about how the field of web development has changed over the years, helping you better understand why today’s internet is the way it is.